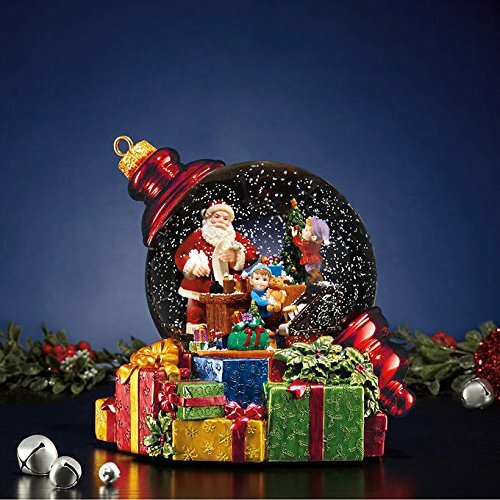 This classically inspired Santa Waterglobe is ready to be one of your holiday decorating focuses for years to come. Equipped with push button activated snowblower and two LED lights in its base. The scene is set inside a Christmas Ornament design positioned above festive presents and holly. Santa is double checking his list for this year as his Elves are decorating the tree and prepping his bags for his yearly journey. A perfect decor piece that all ages can appreciate. If you have any questions about this product by SNOW, contact us by completing and submitting the form below. If you are looking for a specif part number, please include it with your message.